Kathryn is a multi-disciplinary visual artist living in the Pacific Northwest of the United States. She has a long and abiding love of megalithic cultures and sites brought about by her lifelong passions in history, language, art, and research into the fields of archaeology, anthropology and mythology. She makes regular pilgrimages to the ancient landscapes in the Ireland, England, Scotland and further afield, to ‘be on the ground’ with these fantastic monuments and experience them in-situ. Her favourites of these enigmatic prehistoric stone sites, sometimes themselves no more than a few inches high, impart diverse feelings and are deeply moving, The remote landscapes in which many of these ancient works are found also can hold healing or spiritual peace. These emotions are in part what she hopes to convey with her art. Kathryn paints intuitively, building layers of colour, conjuring the spirit of place and connexion from her subjects. 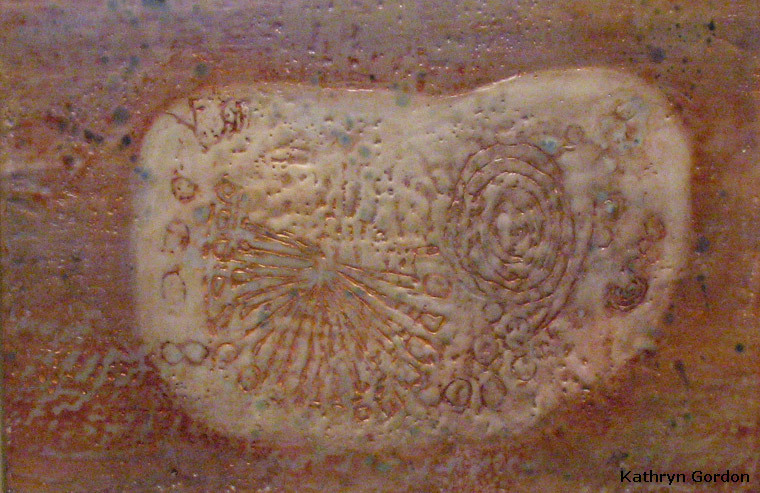 Uninhibited by the need to fully represent reality she allows each site and subject to speak to her and her brush in the creation of the work. She believes their stories are the important aspect to experience; some whimsical, some intense. 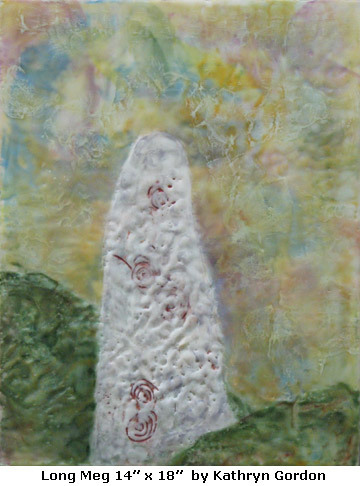 Her current series: The Stones – Megaliths of our Ancestors, is created with the luminous and tactile media of encaustic. This is comprised of beeswax, which gives it that luminosity, dammar tree resin, which gives it strength, and pigments to provide colour. 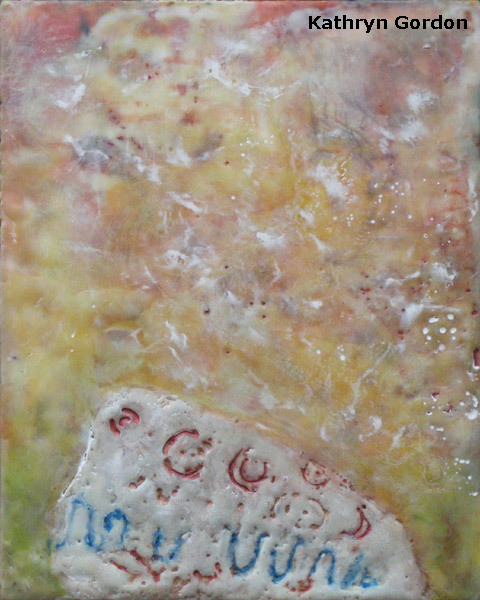 Artistic use of encaustic is in itself several thousand years old – creating yet another connexion and resonance with the subjects she captures. 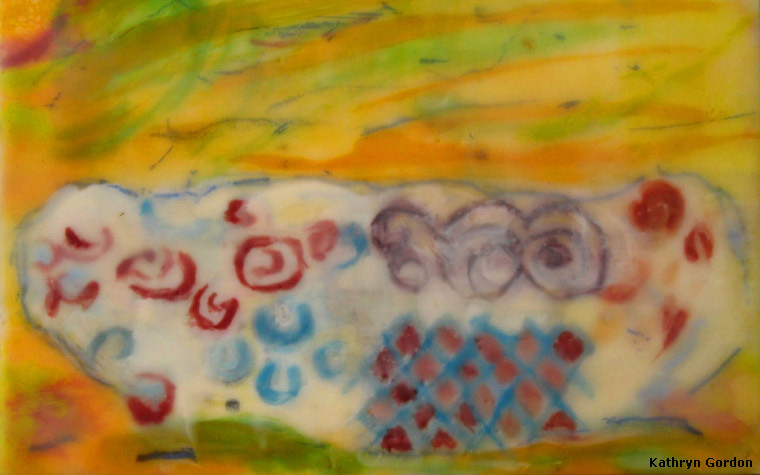 Kathryn applies many layers of wax and then carves back, delving into the work to reveal previous layers or creating marks which are then later heightened with pastel, oils, or left exposed. All this is fused with a flame after each layer is manipulated creating a solid, fully integrated work. The surfaces are lush with wonderful depth. 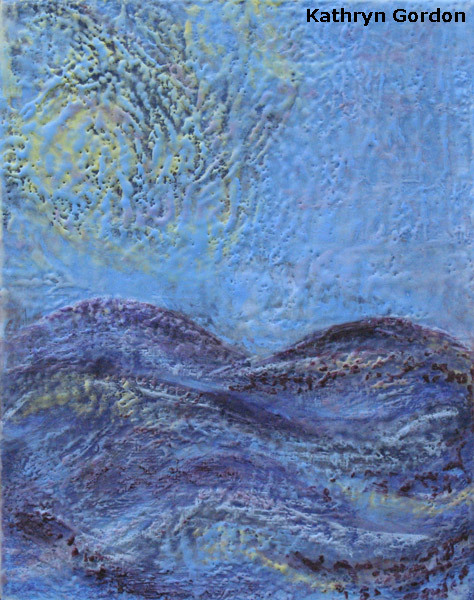 Because tempered beeswax makes the work very durable and touchable, no glass is needed nor should be used in displaying these works. The dammar adds the necessary hardness to keep dust from adhering to the painting. A simple swipe and buff with a soft cloth is all that is needed to keep these works beautiful for hundreds of years.